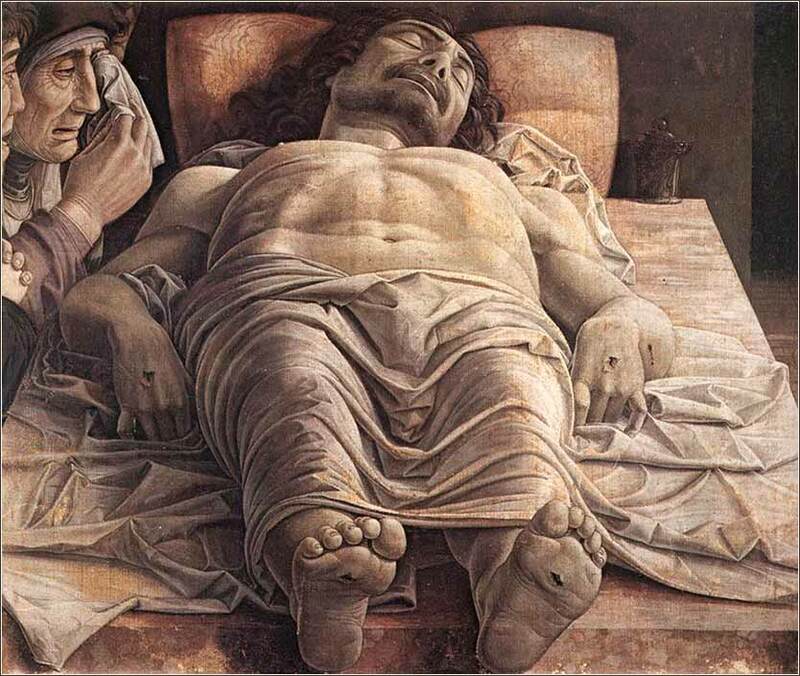 Lamentation of Christ by Andrea Mantegna, ca. 1480. This great work was far ahead of its time, in its realism and the sheer rawness of emotion it depicts. The mourners are Mary and John. “Hear another parable. There was a master of a house who planted a vineyard and put a fence around it and dug a winepress in it and built a tower and leased it to tenants, and went into another country. When the season for fruit drew near, he sent his servants to the tenants to get his fruit. And the tenants took his servants and beat one, killed another, and stoned another. Parables and allegory are overlapping descriptions of stories, very similar in meaning with only a shade of difference. In an allegory, the author intends a more direct one-to-one correspondence of the characters and actions in the story, to people and events in the world. The Parable of the Tenants is perhaps the most allegorical of the parables, because Jesus is describing specific people and a specific series of events. The master is God, the Father and the house is the Kingdom of God. The vineyard is Israel, the Jewish nation in Canaan. In this regard, read the quotation from Psalm 80, just above; Israel as a vine or vineyard was a common metaphor in Jewish literature, and Christ's pointed meaning become even more clear because of it. God has built a fence around them in both a literal physical sense — he defined the boundaries of the land he gave to them — and perhaps in a more metaphorical sense: He gave them the law, which separated the Jews from all other people. The winepress is the bounty of the land, God's gift of “milk and honey” to the Jews in Canaan, and the tower is the Temple. Having situated his chosen people, he went into another country — we might call this heaven — and left the nation in the care of the “tenants”, the priesthood of Aaron and, later, also the kings. The fruit of this vineyard is righteousness before God; but when God sent his prophets to Israel and Judah, they were killed by the very people who were supposed to be the stewards. Finally, God sends his Son, who will soon be killed by the same tenants: the high priests. 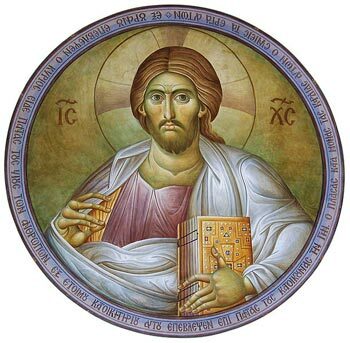 And what will become of those who kill Christ? They will be put to death — and not a death of the body, but the true death that comes only by God's wrath against the sinful. And he will find new tenants: all those who, whether Jewish or Gentile, will confess that Jesus is the Christ and repent of their sins through his sacrifice. We can call this a parable or an allegory, but we could also call it prophecy. It accurately predicts the specific events to follow, up until today. We live in a specific age, the age described at the end of this parable, between Christ's ascension and his coming again.